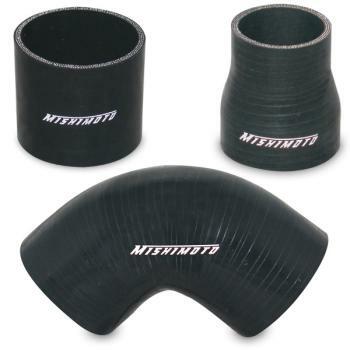 Mishimoto has developed several silicone couplers which can be used with a variety of pipe sizes and bends. Whether you are looking for a transition, straight or angle, Mishimoto has the perfect silicone couplers for you. Our silicone couplers are made from the same heat resistant embedded fibers as our silicone hose kits, so you know they are durable and can withstand the toughest conditions!